Pet Power Paw hand held attachment removes dust, dirt and pet hair from floors, stairs and upholstery. The powerful and lightweight Pet Lover 3684F canister vacuum cleaner weighs less than 9 pounds, making it easier to get into spaces where dirt lingers most. The exclusive Pet Power Paw brush removes pet hair from carpet and upholstery. Plastic teeth loosen it, a rubber strip grabs it and bristles remove it. The Pet Lover's 12-amp motor allows for a powerful and efficient cleaning, and is great for all surfaces, including bare floors, upholstery and stairs. The Arm & Hammer high filtration bag eliminates pet odors and captures allergy-causing pet dander. 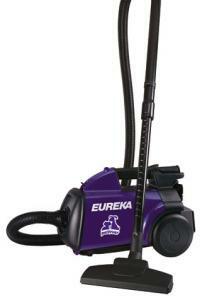 The Pet Lover's HEPA Filtration captures 99.97% of dust and pet dander for a cleaner home. The deal gets even sweeter when you break out the bonus blower port that's great for blowing debris from garages, workshops and basements. Shipping Weight: 12 1/5 lbs. I have been very happy with everything I have purchased from your site. The service and shipping is exceptional. Your website had the best price and judging from customer comments I felt confident in ordering from you. The merchandise arrived promptly, and I love my new Mighty Mite. All in all, an excellent online shopping experience! I've bookmarked your website for future purchases. I live in the Philadelphia area and have access to many stores, some discounted. No one could beat your price. Thanks! This is my second purchase from All Brands and both have been very satisfactory. Selection is great, processing orders is quick and easy. Delivery is quick! Thank you!